This is the best way how to save your time! 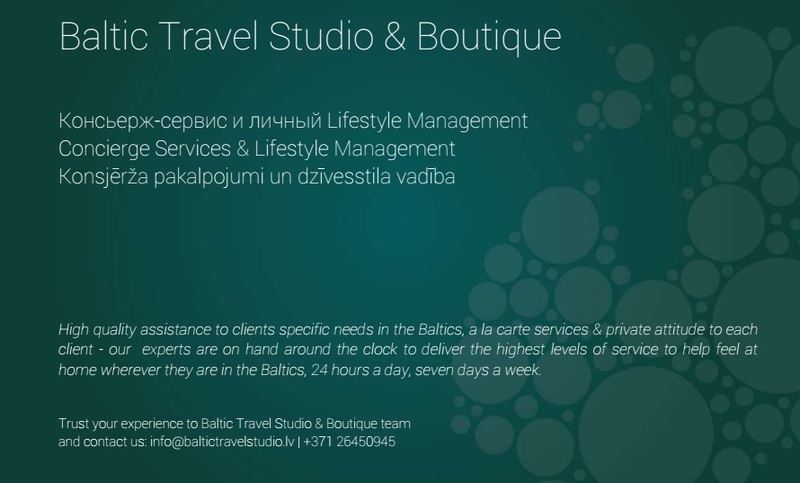 Use our 24-hour personal concierge service in Baltics! We will provide you high quality assistance in Baltics: transfer services, tickets for events, reservations for retsaurants, shopping, health and SPA procedures, visa invitation assistance and other a la carte services! Allow us to take all your day activities off your hands, allowing you to focus on what is really important!